2018/02/28 13:49 - Colin Mckinnon has published the first video tribute in memory of Treze. What we see is a short clip about the wall he has made in collaboration with Peque in Mexico. The two artists assembles their different styles of illustration in a surprising mural of large format in full color. 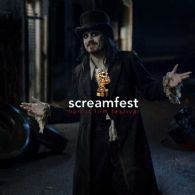 2017/09/12 13:49 - Idyllic Films is proud to announce the official selection of Alfred J Hemlock, a Horror/Fantasy/Comedy short directed by Edward Lyons, to the 2017 Screamfest(R) Horror Film Festival. The festival runs from 10th - 19th October 2017 at the TCL Chinese Theatres in Hollywood, California. 2017/07/10 17:15 - In 2014, Aussie film makers Kiah and Tristan Roache-Turner of Guerilla Films, unleashed the horror flick, Wyrmwood. The movie, which proved to be a masterful mix of blood, gore and comedy, had critics describing the film as Mad Max meets Dawn of the Dead. Earlier this month, we reported on the release of the minute trailer which continues Wyrmwood, Wyrmwood: Chronicles of the Dead. 2017/07/05 11:28 - Australian short chiller Alfred J Hemlock is a top-notch short film that balances eerie menace with whimsical charm and a dash of dark humor. The production values are marvelous and the acting is a delight in director Edward Lyons’ latest effort. 2017/05/04 10:52 - An actor's process for creating a character is fascinating, unique to themselves and molded by personal experience. Good actors create a character that elicits an emotional response to a story. Great actors disappear completely into their character. 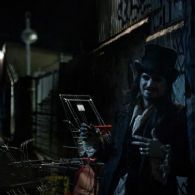 When I sat down to chat with Tristan McKinnon from the short film "Alfred J. Hemlock", I had an idea of who I was about to meet, but I could not have been more wrong. 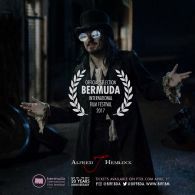 2017/05/02 09:57 - Idyllic Films is proud to announce the official selection of Alfred J Hemlock, a Horror/Fantasy/Comedy short directed by Edward Lyons, to World Premiere at the 20th Anniversary Academy Award(R) Qualifying Bermuda International Film Festival. The festival runs from 1st - 7th May 2017 in Hamilton, Bermuda. 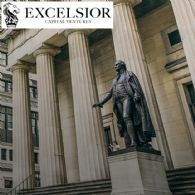 2016/08/16 13:13 - Excelsior Capital Ventures (ECV) LLC, announced today that it will be making substantial liquidity available to the mid-stream diamond and jewelry industry. The New York based firm, founded by industry leader Nehal Modi, said it expects to begin lending operations on October 3, 2016 and will provide loans secured by diamond and precious metal inventories. 2016/08/09 13:53 - What do you get when you mix a touch of German Expressionism, a nip of Stanley Kubrick, and a sprinkle of Tim Burton? 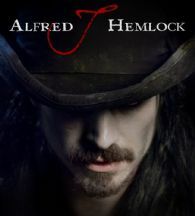 Alfred J Hemlock is what! This enticing new horror/comedy bender from Director Edward Lyons is whetting the appetite of horror fans everywhere. 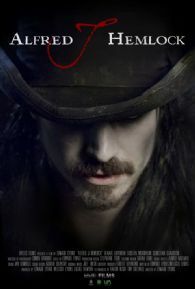 With the trailer released early last week, the film has attracted praise for its originality and cheeky winks to the horror classics. 2016/08/04 15:11 - Applications for the $10,000 FBI Fashion Business Initiative are now open for 2016. The annual Fashion Business Initiative aims to assist FBI entrepreneurs in the growth and development of their Fashion Business. Whether it be a retail store, online publication or designer label - all types of Fashion businesses are eligible. 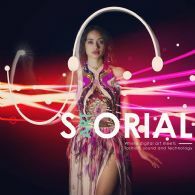 2016/08/03 17:02 - Travelling the world goes hand-in-hand with the Fashion industry. FBI Fashion College offers students unique international experiences early on in their journey, recently embarking to Paris with twenty Fashion students for a ten day study trip. 2016/07/06 09:52 - Interview with Eddie Bell, Lyst's lead data scientist, about his team's current efforts to use deep learning to analyze images and personalize recommendations to consumers. We talked about his past, his team's present, and the fashion industry's future.